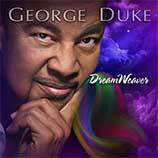 George Duke was a musical innovator, creator, and mentor to so many. His legacy as a recording artist is vast, from Cannonball Adderly to Jean-Luc Ponty, Frank Zappa to Michael Jackson, to over 40 recordings as a solo artist. Simply put, George forever changed the landscape of jazz, r&b, funk, pop and classical music. For over nine years, George Duke served as co-music director of the Symphonic Jazz Orchestra. During his tenure, George appeared in numerous concerts and benefits as soloist with the SJO, and in 2011 composed a new concerto for bass soloist Christian McBride and the SJO. Recording of George Duke's "Bass Concerto" for Christian McBride & the 67-member Symphonic Jazz Orchestra SJO's ongoing "Music in the Schools" residency programs in underserved communities throughout Southern California Creation of the ASCAP/George Duke Commissioning Competition. Please support our efforts and let’s make this happen! Help us play it forward - be a part of the George Duke Legacy Project. Don't miss this one-of-a-kind experience! In support of the George Duke Legacy Project, Grammy-Award winning vocalist Dianne Reeves will perform a private house concert on Sunday afternoon, Jan. 11, 2015 in Brentwood, CA. GET YOUR TICKETS NOW...Seating is extremely limited for this intimate fundraiser and will be filled on a first-come, first-served basis. 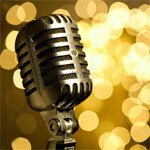 Tickets are $600 per couple and include a wine and cheese reception prior to the concert. The tax-deductible tickets can be purchased through the Indiegogo site by clicking here. You may also mail a check, payable to SJO, to The Symphonic Jazz Orchestra PO Box 1421 Culver City, CA 90232. Please feel free to call the SJO office with questions at 310/993-4635. George Duke, hailed by both peers and fans as not only a great musician but a greater man, died August 5, 2013 at the age of 67. Should friends and fans desire, contributions can be made in his honor and in the honor of his wife, Corine, at the links below. For 26 years, The “I Have a Dream” Foundation – Los Angeles (IHADLA) has been providing the most comprehensive “whole life” program of its kind to underserved African American and Latino children in areas of high crime and poverty. Please click on the PayPal button below. Once you have entered your information, you will be taken to a second page in which you can designate your donation “In Honor” or “In Memory” and leave a personal message with the gift. All donations are tax-deductible and a personalized letter of thanks will be sent directly to the address you provide. Should you have any questions, please do not hesitate to call the foundation directly at (213)572-0175. Fusion, funk, and rock keyboard legend George Duke gives us a tour of his home studio, "Le Gonks West." Look for a major feature in Keyboard soon on his upcoming new album "Dreamweaver." This concert was recorded at the Lucerna Music Bar in 2009 and features a 5.1 audio soundtrack. This album is historical gold, a time when Al and George were laying the foundation for who they came to be as mature artists. Though the audio quality is suspect at times, it is still a rare and important glimpse into their pre-major label contract past and shows the initial stages of their musical development. Available at GDE Sales. SOUL TREASURES is a treasure trove for producers looking for instant soul for their tracks. Exclusively recorded for Native Instruments by American soul and jazz legend George Duke, over 500 soul-drenched keyboard loops are ready to go, and without the need to dig for samples through crates of dusty vinyl. for fans. George has made nine more Master Rhythm Charts available — you can get them now at GDE Sales. George is featured in the October issue of Jazz Inside Magazine.Click here to download the issue for free. Along with the vintage video, George has conducted interviews with various contemporaries. The first is with his original Dukey Stick Band. Listen here.